Liam Hemsworth was on Live with Kelly & Michael today as part of the promotional tour for The Hunger Games: Mockingjay Part 2. 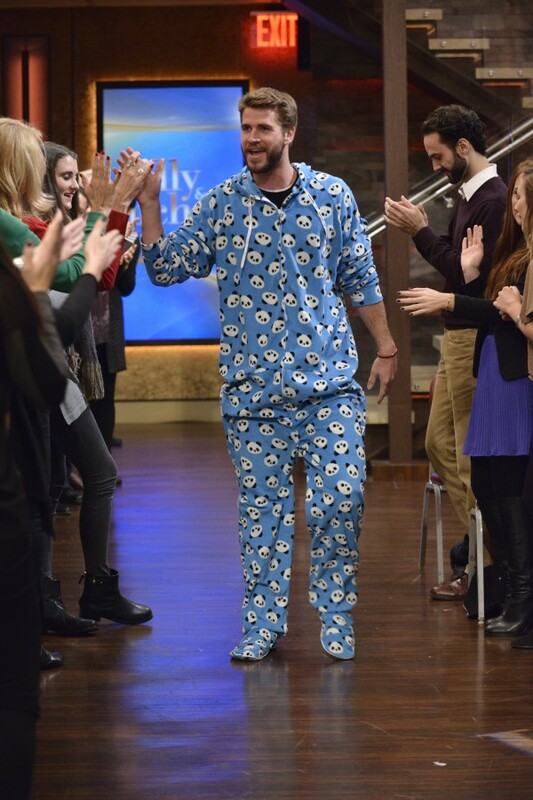 Check out clips of his attendance on the show below, where he wears a onesie. The Hunger Games: Mockingjay Part 2 opens in theaters tomorrow!